Batman copyright and trademarks are owned by Warner Brothers and DC Comics. 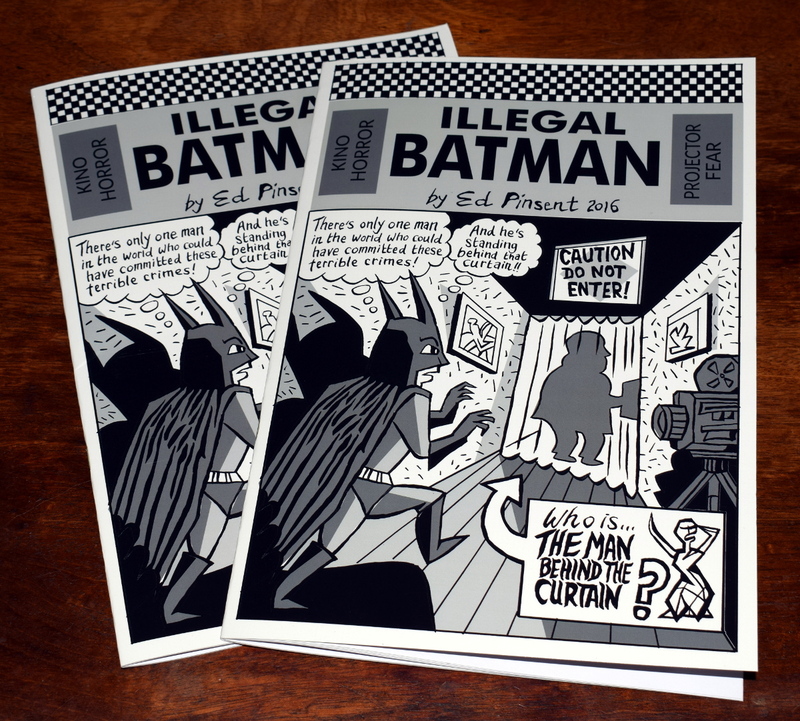 Illegal Batman Meets The Man Behind The Curtain was written and drawn by Ed Pinsent in 2016 and is a work of fan art. Please direct any questions to the artist. Please note: I am making zero profit on any sales, and the cost of ordering / shipping reflects the prices Lulu.com charge for creating the book and sending it to you. This entry was posted on Tuesday, August 9th, 2016 at 3:58 PM	and is filed under News. You can follow any responses to this entry through the RSS 2.0 feed. You can skip to the end and leave a response. Pinging is currently not allowed.